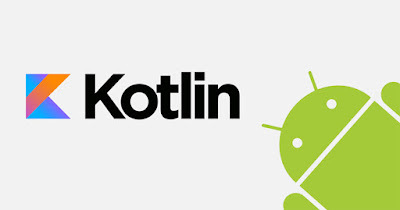 Kotlin has been named the official programming language for Android development. Along with that, it's 100 percent Java compatible. Click here for the top Kotlin courses! I have answered that question in my last article, but I am still receiving a lot of queries about learning Kotlin and whether a Java developer should learn Kotlin or not? Well, to be honest with you, being a Polyglot programmer, i.e. a programmer who knows more than one programming language, is an important and distinguished skill. 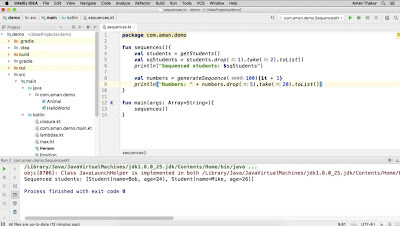 It not only widens your thoughts but also makes you a better developer — that's why I recommend every Java developer to at least learn one more JVM language, and Kotlin is a place to start. Kotlin is now the official language for Android app development. So, if you are Java developer with a passion for writing Android apps or want to reach masses to promote your next startup idea, you should learn Kotlin. But, even if you don't have an interest in mobile development, you can learn Kotlin, because it improves your productivity while remaining 100 percent compatible with Java. What you can do in 100 lines of code in Java can be done in just a few lines in Kotlin. It allows you to auto-generate getter, setter, equals, hashCode, toString, and other common methods; you don't need to write that on your own. 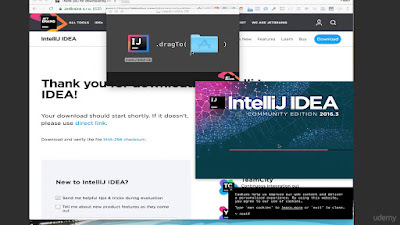 Kotlin was created by JetBrains, the company behind IntelliJ IDEA, and they created Kotlin to reduce Java boilerplate code while keeping features from the functional programming paradigm. But, it wasn't possible for them to rewrite all their IDEs in Kotlin from scratch, so they made sure that it remains 100 percent compatible with Java. If you don't know this, Kotlin generates bytecodes that can run in the JVM. Until last year, I was suggesting that Java developers learn Scala because of its impressive list of functional programming features, but 2018 is different. This is the year to learn Kotlin! I expect Kotlin to surpass Java for Android development in a few years because of its distinguished position as the official language for Android development. In this article, I am going to share some of the best online courses to learn Kotlin from scratch. The courses are divided into two categories — the first teaches Android development with Kotlin and second teaches the Kotlin programming language itself. You can choose the course that best suits your requirements. If you are a Java developer who wants to learn Kotlin and enhance your career prospects, then this is the perfect course for you. It allows you to use your Java skills to learn Kotlin faster. I strongly suggest Java developers learn Kotlin, not just for Android app development but also as a skill that they will use in near future. Since Kotlin works anywhere that Java works and can even be called from Java code (and vice-versa), this brings with it a massive opportunity for Java developers. Being able to work with both Java and Kotlin is going to give you a massive advantage over all other programmers. This is a no non-sense course that has the right kind of pace and depth needed for experienced Java programmers. It is specially designed to teach Java developers how to use Kotlin in the shortest possible time. Sarah Ettritch, the instructor of this course, is an experienced Java and Kotlin developer, which makes her qualified to teach you this powerful and exciting language in short amount of time. In short, this is a perfect course for Java developers to learn Kotlin and also to understand the key differences between Kotlin and Java. I have recently purchased this course for just $9.99 in Udemy's flash sale, which is seriously a bargain. This course is best of both worlds. It will not only teach you the Kotlin programming language but also how to develop Android apps using Kotlin. You will learn about variables, Strings, and other data types in Kotlin, as well as essential programming constructs e.g. conditionals, for loops, Maps, Functions, classes, Nullables, etc. You will also learn how Kotlin and Java are related to each other. The course is created by Rob Percival and Nick Walter, two of the best instructors on Udemy. 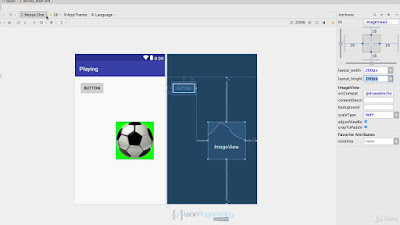 This is an ideal course to learn Kotlin from scratch and understand object-orientation and idiomatic Kotlin for Android app development. This course will teach you programming in Kotlin right, starting with the basics, which makes this course ideal for beginners. You will put what you learn into practice in several coding challenges. So, in the end, you'll be able to create your own applications in Kotlin. If you're an Android developer, you can use this course to get up to speed with this awesome language. Kotlin will allow you to maintain a cleaner and more expressive code base, use concepts that go beyond even Java 8, and write more robust apps for Android. This is one of the most comprehensive courses on Kotlin for Android app development. Containing more than 100 lectures, you will learn almost everything about Android development with Kotlin. Whether you're a Java developer or have NO Android experience, this course will teach you everything you need to know how to build apps using Kotlin. The best part of the course is that it not only teaches you theory and basics of Kotlin programming language but also teaches you everything about developing with Kotlin, working with interface builder, all the SDKs, and the tools you actually need to build apps. You will develop real-life projects which is the best way to learn a new programming language or technology. Kotlin is an expressive, concise, and powerful development language for Android development, and there is a high probability that it will overtake Java on Android, which makes it important for all the programmers who want to do app development. This is a complete Masterclass on Android development with Kotlin and teaches you everything you need to effectively write Android code using this powerful programming language. If you want to make your career in Android application development, then Kotlin is indispensable for you. You must learn Kotlin sooner rather than later, and this course is perfect to start with. That's all for now about some of the best courses to learn Kotlin in 2018. As I have said, after Google's announcement of Kotlin as the official language for Android development, the demand for Kotlin developers is sure to rise, and this is the right time to learn Kotlin and tap the demand. For Java developers, it's a win-win situation because you not only get a chance to tab into Android development but also improve your productivity because of Kotlin's concise and powerful syntax. Thanks for reading this article. If you like these Kotlin courses or want to learn Kotlin in 2018, then please share this article with your friends and colleagues. If you have any questions or feedback, then please drop a note below.